This hydrating eye cream is a one-hit wonder for sensitive eyes, instantly soothing, de-puffing, and softening wrinkles. 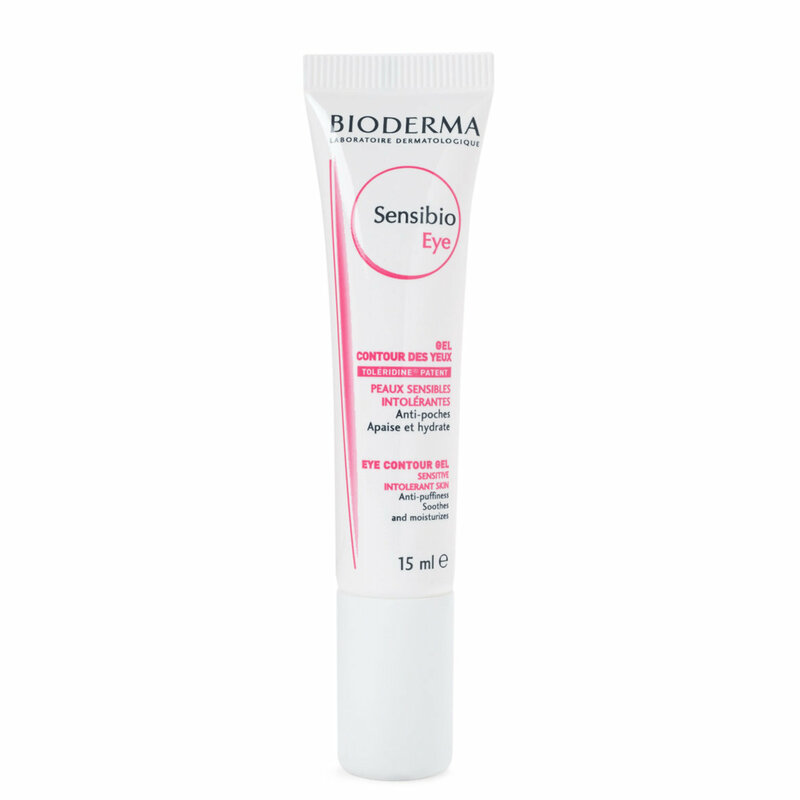 Bioderma Sensibio Eye’s lightweight gel-cream formula quickly sinks into skin for a more awake, youthful look. Patented Toléridine™ complex soothes irritation and reduces sensitivity over time for healthy, comfortable skin under and around the eye contour. After cleansing, apply to your entire eye area, including eyelids. Lightly massage from the inside to the outside of your eyes until absorbed. Have a question about Bioderma Sensibio Eye? I'm 35 with dry under eyes and hereditary dark circles. I've been using this for a couple weeks now twice a day. It's soaks in nicely and quickly which is great so I can go in with my makeup in the morning. I no longer wake up with big puffy eyes and my makeup is laying much better. I also have very sensitive eyes that water really quickly. This does not irritate my eyes at all. It's very hydrating and I would recommend everyone to try it. I really love the Bioderma Sensibio Eye because it is so effective at soothing and deflating my puffy eyes. I have mature dry skin and this product is also excellent at smoothing and moisturizing the skin on and around my lids. I highly recommend it! I cannot express how much I love this product. I've had a lot of trouble with dehydrated undereyes and within one night of use this product transformed my skin! not only did my dehydration lines disappear, but it smoothed, brightened and refreshed my normally puffy and dehydrated skin. This is a must for me! I feel like a lot of eye creams are too heavy for my under eye. I have had white bumps (milia) underneath my eyes due to heavy eye creams clogging the delicate skin underneath my eyes! This eye cream absorbs quickly, hydrates, and doesn't clog the skin. Great for nigh and day (before make up). I really have been enjoying this eure cream. It moisturizes and helps to de-puff my eyes. I mainly use it at night before bed but it can be used in the morning before makeup since it's light and non greasy and it absorbs very fast into the delicate eye skin. I don't know how hydrating it'll be for those with very dry eye skin but this is hydrating enough for my dry under eye area. This product really does transform my eyes. I have noticed that it has made my eyes less puffy and really smoothed out my undereye area. I have slightly hooded eyes and this product really has helped depuff my eye contour area and makes me look more awake. Sometimes just getting a sample really does precipitate s purchase. Tried this on one eye to compare reduction in puffiness. I got full effect in about 20-30 minutes but definitely deluded both lower and upper lid. Price point is great. You only need a tiny dot of product. Very pleased.